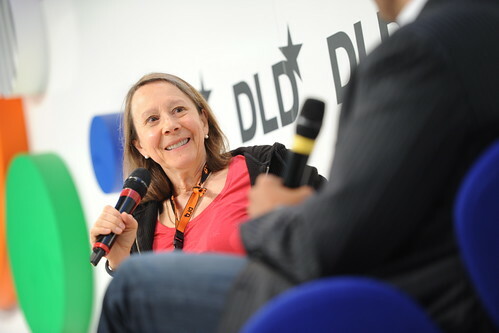 It's still early morning at DLD14 but concentration levels are sharp as angel investor Esther Dyson climbs on the stage with Shyam Sankar, director at Palantir Technology, to discuss the seeming paradox of 'seeing the unseeable'. Palantir Technology is a still secretive company in Silicon Valley, which aims to change the way we see information. "We bring together data so that humans can make sense of it," Sankar puts it. His role is to drive Palantir’s new business initiatives, and he makes the case that massive data-mining is more than just another cool tool – it’s the key to solving the world’s toughest problems. Most of Palantir's customers are large organizations struggling to make sense of large amounts of data, that may have been collected for another purpose originally. They are both private and public. Sankar doesn't name any of the public clients despite Dyson's good-natured prodding. But he hears her suggestion that Palantir should reel in ResearchGate – presented at DLD14 yesterday as a European success story – as a new customer with a knowing smile. The Silicon Valley company takes its name from the far-sighted “seeing stones” of J.R.R. Tolkien’s “Ring” trilogy. Its set-up is relatively simple. There is one group of engineers building platform. Another, led by Sankar, focuses on customer success. Sankar summarizes that they are "looking at how to use the tools available to solve the problems in the world." 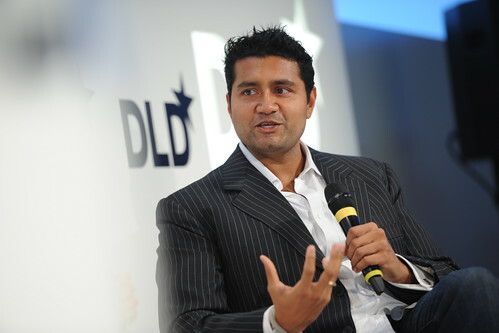 Prior to Palantir, Sankar was director of business development for Xoom Corporation, an international money transfer service funded by leading Silicon Valley venture capitalists. It was his own, complex family history that brought him to Palantir. His experience of 9/11, his parents having to leave Nigeria, his uncle witnessing the train bombs in Mumbai in 2006 – all of these showed Sankar different sides of the security challenge and motivated him to try and find answers to that challenge. Palantir's approach is to comb through available databases, identify related pieces of information, and reassemble everything in a single place. "Palantir is presented as a secretive organization. So tell me, why are you hear?" Dyson asks. "Because actually we don't see ourselves as a secretive organization," Sankar answers. "We go out to meet people in the world to solve problems."